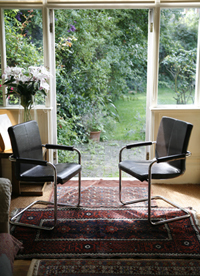 A psychodynamic counsellor will listen and help you to understand how past experiences, concerns about the future, or issues surrounding self confidence may affect your life. Together with the therapist you can reflect on how you respond to events in your life and begin to explore the way that you relate to yourself and others. The therapist will not tell you what to do or give advice, but will help you to make your own choices.